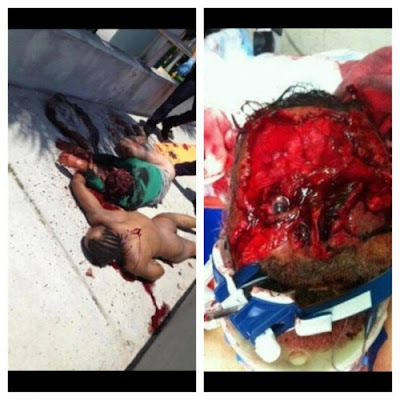 Below you will find 2 videos of the UNCUT Zombie Type Attack that took place in Miami. One video has been color corrected and the other has been zoomed and color corrected. The attack lasted around 18 minutes.The attack is on the left part of the screen. 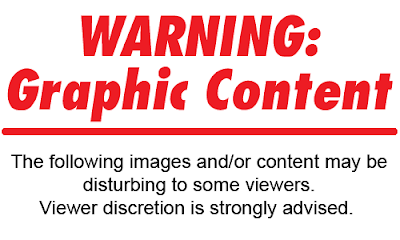 Following the videos is a picture of the man face after the attack. Viewer discretion is strongly advised. The flesh eating cannibal was 31-year-old Rudy Eugene.The victim was identified as Ronald Poppo. About 75-80 percent of Poppo's face was eaten off. Below is the photo of Poppo's face after the attack. SOCIAL JUSTICE ISSUES, etc. It is believed that this constitutes a 'fair use' of any such copyrighted material as provided for in section 107 of the US Copyright Law. In accordance with Title 17 U.S.C. 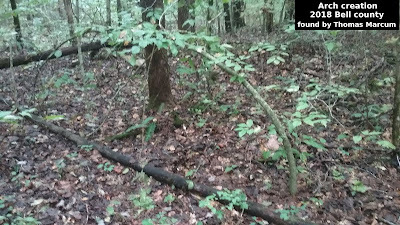 Section 107, this material is distributed without profit to those who have expressed a prior general interest in receiving similar information for research and educational. Thats crazy but Iam interested in stuff like this...! !